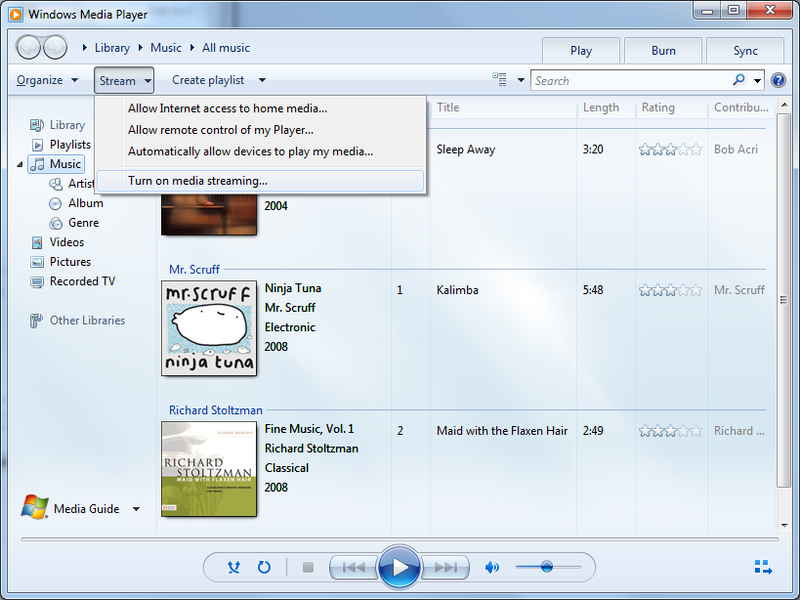 I was following this how-to guide to setup DLNA media streaming with Windows Media Player 12. I ran this a few issues and here is how I resolved them. I was stuck at step 4, where it won't turn on the media streaming option. 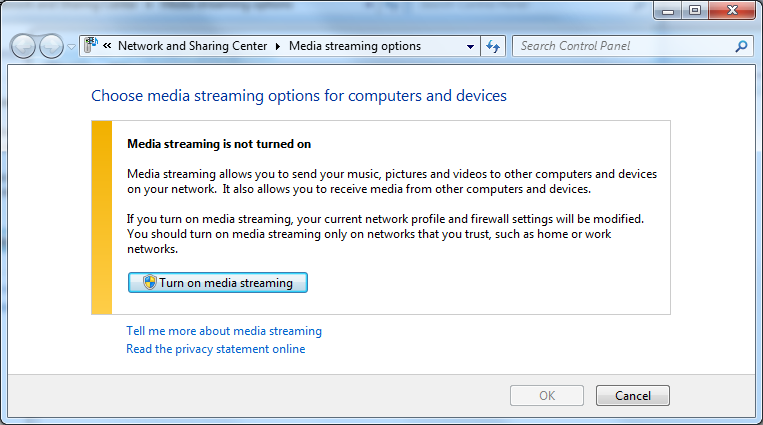 Clicking "Turn on media streaming" does nothing. I was getting an error "A homegroup can only be created on a home network. 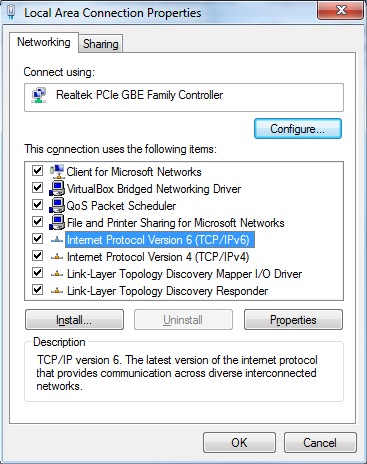 To change your network location settings, open Network and Sharing Center in Control Panel." But I checked and confirmed I'm on a "home" network already. Turns out the error message is a little bit misleading. I think Windows was confused because I also have a VirtualBox Host-Only Network. I got a different error message after disabling it. Ultimately, I fixed the problem by enabling Internet Protocol Version 6 (TCP/IPv6) for my home network. 2. Only one homegroup is allowed on the network. If a homegroup already exists, you will be asked to join it. Why can't I create a homegroup?